Early on, I had the great fortune to work with Jill Clayburgh. She was generous of her time and I learned much from her. We became friends and she invited me to her house. 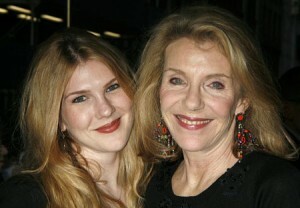 During one visit her daughter, Lily Rabe, a junior in high school, bounded through the house. “Lili likes to act,” Jill offered up, and with this Lili disappeared outdoors. This got me thinking and it wasn’t long before I created Après un Rêve for them. Nadia Boulanger was the music pedagogue of the 20th century. 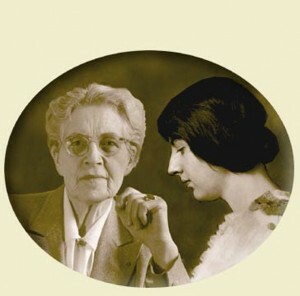 She taught for nearly 80 years, until her death in 1979. Composers as varied as Copland, Quincy Jones, Philip Glass, Elliot Carter, Astor Piazzolla and hundreds of others famous and not-so-famous studied with her; nearly all claimed she was the defining presence in their artistic development. She was a genius: Her genius was for teaching. This genius we greatly underestimate. Nadia’s other obsession was her younger sister, Lili. Lili, sick from birth; Lili, the sister who had the goods to become the first great woman composer. Lili died in 1918, barely 25 years of age. For Nadia’s remaining 60 years her obsessions were two: teaching, and ensuring the world take notice of her sister’s genius.